Open Sesame (Street) | What Would The Founders Think? 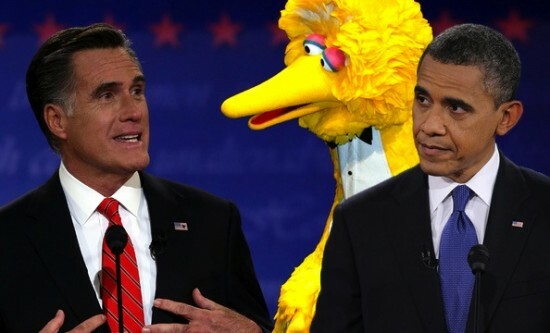 Who knew that when Mitt Romney said those four words, “I love Big Bird,” it would have caused such a stir? Of course, he mentioned Big Bird in relation to ending federal subsidies to PBS. President Obama and his liberal base were outraged. Apparently liberals can’t get through a week without their subsidized episodes of (Best of) Joy of Painting or Sewing with Nancy. * Naturally, Big Bird got all the press and, in an effort to relive Obama’s stellar debate performance, his campaign spent the next week talking about little else. PBS is due to get around $450 million in federal dollars next year. Sesame Street even got $1 million in stimulus cash to promote healthy eating. (Presumably, the Cookie Monster ate a carrot before devouring his Lorna Doones.) With that stimulus money they officially created 1.47 jobs. That’s one full Bert and almost half an Ernie! One wonders why the Obama campaign has spent so much time on the subject, thereby reminding voters of his campaign performance which, to be kind, was dreadful. 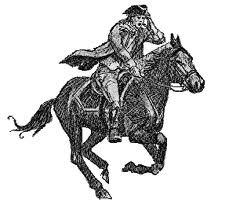 This week also brought the revelation that he walked off the stage thinking he had won the debate. And he calls Romney out of touch? The old conventional wisdom among the media types: Smartest guy on the planet. The new conventional wisdom: Who let that guy on stage? Look, I also coach high school basketball and have been on both sides of routs. I don’t need to look at the scoreboard after a game to see if we won or lost. I already know. My players know. Anyone watching the game knows. The scoreboard merely provides the confirmation. The only people who don’t know are those who aren’t there. Perhaps, that explains why Obama thought he won the debate – he didn’t show up. Maybe they should hold the next debate in the Hofstra University gym and use the scoreboard. That might help him out. But really, when Romney took a knee at the end of the debate, it should have given Obama a clue. *There really is a Best of Joy of Painting? Really? Also makes buy prednisone online overnight sense for their corporate profits..
Last week there was so much to distract from and so little chaff left to throw in the air. Hopefully, the act is getting old. He can’t run on his record. He would like to run on Bill Clinton’s record. He has no plan for goving forward. He has to seek help from Big Bird. We may see the Wiggles and Spongebob Squarepants stumping for him in Ohio next week. Obama btter forget about Big Bird and start paying attention to the Big Bear (Russia). But they, along with China, are our allies. Joe Biden said so during the V.P. debate.